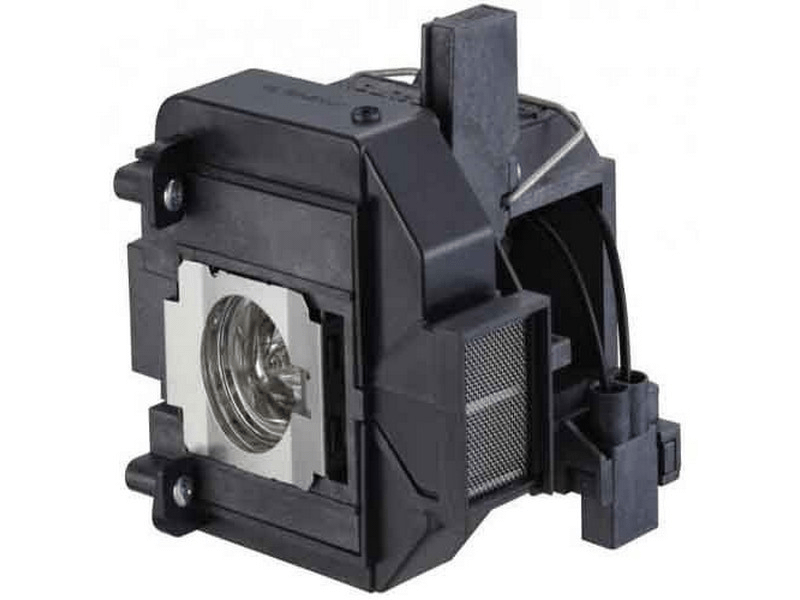 The ELP-LP69 Epson projector lamp replacement comes with a genuine original 230 watt Osram bulb inside rated at 2,400 lumens (brightness equal to the original Epson lamp replacement). The ELP-LP69 lamp has a rated life of 4,000 hours (5,000 hours in Eco mode). This lamp has superior brightness and lamp life than other cheaper generic replacement lamps being sold in the marketplace. Purchase with confidence from Pureland Supply with free ground shipping and a 180 day warranty. ELP-LP69 Epson Projector Lamp Replacement. Projector Lamp Assembly with High Quality Genuine Original Osram P-VIP Bulb inside. It's a good lamp for the price, but it's not the original. It would make a good backup lamp, but it doesn't compare to the picture quality of the lamp that comes with the projector. It's like going from HD to SD. I don't recommend it if you're a freak about the picture quality . We received our lamp quickly, and cost was 1/3 of what epson wanted for basically the same lamp. Everything is working well so far!